School’s out for the summer! A rally cry for kids everywhere, a warning for parents. What to do when days get longer and the words “I’m bored” reverberate off every wall? Here’s a list of activities around Gaston County guaranteed to burn off the biggest store of kid energy and maybe even help them learn a few things at the same time. Of course, Crowders Mountain State Park is at the top of any list for a day outdoors. But for a kid, the two peaks, fishing lake, and interpretive center can be especially entertaining. Begin the day at the Sparrow Springs Access, sometimes referred to as the main Ranger Station. Inside you’ll find bathrooms, a helpful ranger, and a collection of exhibits that would be at home in any natural history museum. Offering the history and ecology of the area, these showcases teach in a way a pamphlet never could. After an instructional hour inside, it’s time to take a hike. There are eleven separate trails, stretching for more than twenty miles. Here are two options for different ages and hiking experience. For the tiniest hiker : Looking out from the ranger station, towards the back of the parking lot, spy the marked trailhead to the left. This tree-lined, relatively flat corridor is the Turnback Trail. Soon you’ll reach an intersection and Kiosk in the middle of the woods; take a left and cross the road ahead. You’re now on the Lake Trail which circumnavigates the small fishing lake. Take your time and watch for turtles that like to rest on logs and the waterfowl that visit this peaceful setting. After looping the lake, return the way you came. This round trip is approximately 1.5 miles. For the experienced hiker: Crowders has two peaks, Pinnacle and Crowders, each with several hundred feet elevation change from the parking lot. To reach the top of Pinnacle, take the trailhead that’s to the left as you face the ranger station. This wide trail soon splits into two: right goes to Crowders Mountain and left is the Pinnacle Trail. Head left and after two miles of climbing you’ll be rewarded with stunning views of the surrounding piedmont and a well-deserved rest. This is an out-and-back hike so when you’re refreshed simply head back the way you came. The total distance is just over 4 miles. Canoeing and Fishing: Remember the lake you passed? That is also a great spot for shore fishing and even a leisurely float on one of the park’s rental canoes. Settling into a nook on the bank, you’ll watch nature unfold as frogs leap and fish jump for a tasty bug. Adults need a North Carolina fishing license to fish at Crowders. A giant T-Rex greets visitors in the front atrium of the Schiele Museum of Natural History . Standing some 20 feet tall and bearing huge fangs, the powerful dinosaur reminds us of a much different time in earth’s history. And at the Schiele, things just get cooler from there. Intricately detailed exhibits explore the expanses of space and life in the Catawba River while the recently renovated planetarium shows movies on an unbelievably big dome. But summer is for playing outside, and the Schiele has just the thing. The 0.7-mile path which winds through a diverse forest of maple, pine, oak, persimmon, and other flora is no regular nature trail. Within these woods are the secrets of human habitation throughout the ages. Stand near an earthen burial ground and see how our Stone Age ancestors once lived and died. Peak through the wooden pikes which provided the defense for a Catawba Indian Village. And walk through an 18th Century farm, gaining an appreciation for the hearty settlers that carved a life out of the rough landscape. Then, after soaking up thousands of years of history, stroll by the peaceful pond and watch for the wildlife that calls this place home. Slender herons visit often, looking for lunch while hawks do the same. Acrobatic squirrels shake overhanging tree limbs and yellow-bellied slider turtles prowl the pond’s floor. Check the museum’s calendar for its many special events, summer camps, and educational opportunities. Rankin Lake Park remains one of the semi-hidden gems of Gaston County. The word is getting out, however, about the park’s beautiful, 1.5-mile running trail and the 18-hole disc golf course. 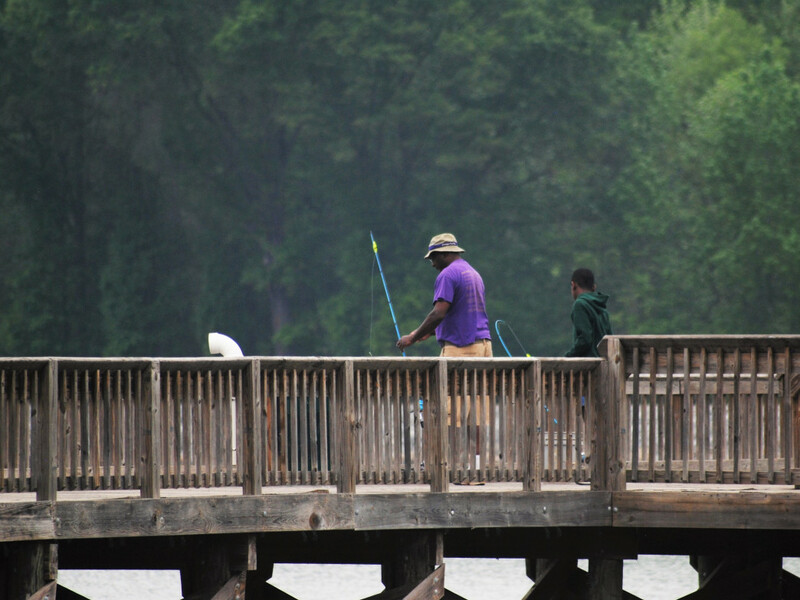 But the park is also home to some of the most accessible fishing in the area. Start with a few casts from one of the two large fishing piers. Bluegill like to hang out near the pile-ons, so there’s no need to sling your line too far. There’s also a designated fishing area along the bank, which is a perfect place to set up your chair and watch the bobber, and a lazy summer afternoon, float by. Some of the best fishing might only be accessible by boat. No worries, though, as the park offers rental kayaks, jon boats, and paddle boats every day (weather permitting). And the best part, Rankin Lake Park participates in the North Carolina Wildlife Resources Commission Tackle Loaner Program. This means that you can borrow fishing tackle free-of-charge from the park during boat rental hours. You’ll even get an ID card so you can take advantage of the program in other participating parks—like a library card for fishing tackle. The Daniel Stowe Botanical Garden is well known for its amazing array of fantastic foliage and beautiful blooms. 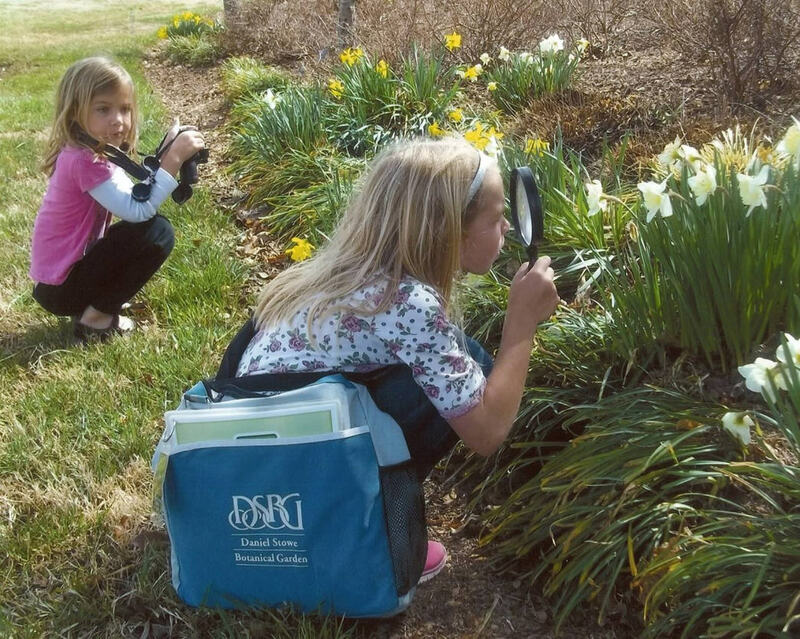 But there’s plenty of kid-approved adventure at the gardens all year long. Tucked in between an older growth forest of hardwoods and younger pine, Lost Hollow is the garden’s kid kingdom. Moon Keep Fortress overlooks the hollow where evolving exhibits teach of the importance of nature and open spaces give way to play. Programs throughout the year offer educational and entertaining diversions. Bootanical is a celebration of Halloween, garden style. Summertime Garden Adventure Camps treat kids to assorting themes like medieval times, science, and art. 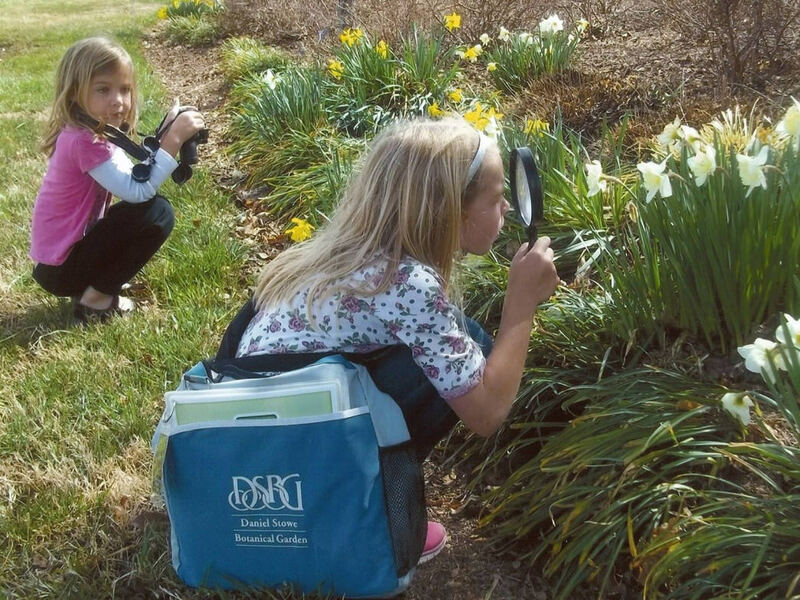 Easter and Christmas at DSBG offer all out kid-tastic fun with music, characters, and holiday-themed activities. The U.S. National Whitewater Center is just one of those places you need to see to believe. Located just across the Catawba River from Gaston County, the 1,150 acre facility houses an incredible menu of outdoor activities. While many of the adventures available are designed for older kids and adults, there are plenty of options for the littlest adventurers. While the big kids surmount large climbing walls, little scramblers can practice on the center’s child-friendly boulder. Surrounded by spongy “mulch”, this is a great spot for small kids to start learning the skills needed for future climbing adventures. The large, stable, flat water kayaks at the center have plenty of room for mom or dad and a tiny paddler. The islands and coves of the Catawba River are full of wildlife. Look high above the banks and you’ll spot the man-made platforms where osprey build their nests. Look low, and you’ll see a turtle or frog sunning itself on a downed log. Surrounding the man-made river and full service restaurant, the center maintains an incredible network of hiking/biking/running trails. Since these paths are multi-purpose, it’s important to watch for, and give way to, mountain bikers and faster hikers/runners. But there are a couple of trails that are better for hiking with children. The Lake Loop, a shady, three-mile trail, begins at the back of the main parking lot towards the left. And the roughly one-mile gravel and paved walking loop around the man-made river offers constant views of rafts, kayaks, and even stand-up paddleboards fighting the rapids. After a day running, climbing, and rowing around Gaston County, there won’t be enough energy left to be bored. Well, until tomorrow at least.